I’ve been a mom for over nine years and a Sam’s Club member for almost that long, and I can tell you that a Sam’s Club membership is a must have for moms, ESPECIALLY new moms! 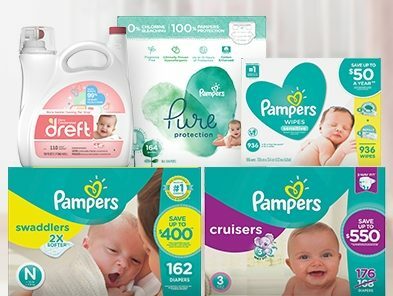 And specifically for new moms – you’ll find everyday low prices on everything needed for Babies & Toddlers, including diapers, food, toys and gear. Seriously, they’ve got you covered! I also really like the convenient options Sam’s Club offers like Scan & Go, Club Pickup, and a subscription service to make getting all of the essentials as quickly and simply as possible. What are you waiting for? 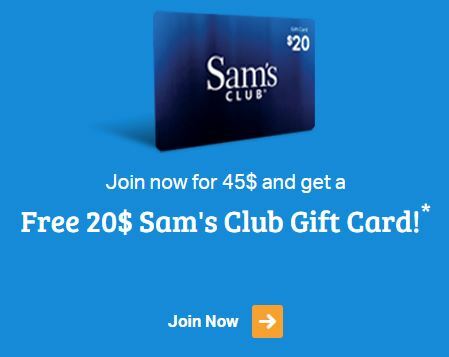 Sign up for a Sam’s Club membership and you’ll get a $20 gift card as well as $25 in new member Instant Savings which are especially great for new moms. 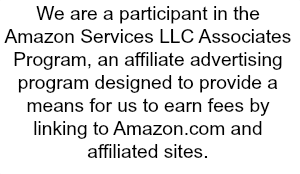 You can also enter the Savings.com Sam’s Club membership gift card giveaway through 11/9/18 at 11:59 pm ET. 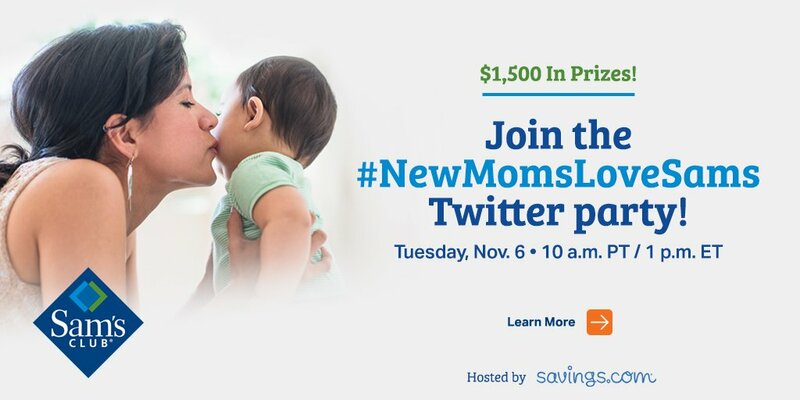 Another option: join the #NewMomsLoveSams Twitter party for a chance to win $1500 in prizes. You’ll need to RSVP HERE to be eligible to win, then mark your calendar for the Twitter party on November 6th at 10 am PT/1 pm ET. I’ve never shopped at Sam’s Club, but it sounds like they have some great perks! When my boys were little we loved Sam’s Club. Saved us so much money. We moved to far to travel to remewit but love it.